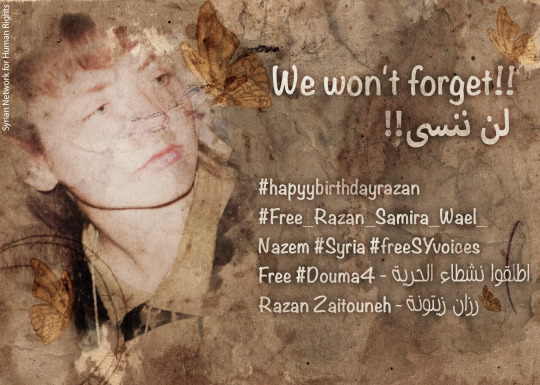 Today is the birthday of missing human rights defender and lawyer Razan Zaitouneh, head of the Violations Documentation Centre in Syria (VDC). On 9 December 2013, she and three other human rights defenders were abducted from the VDC office in Duma, near Damascus. 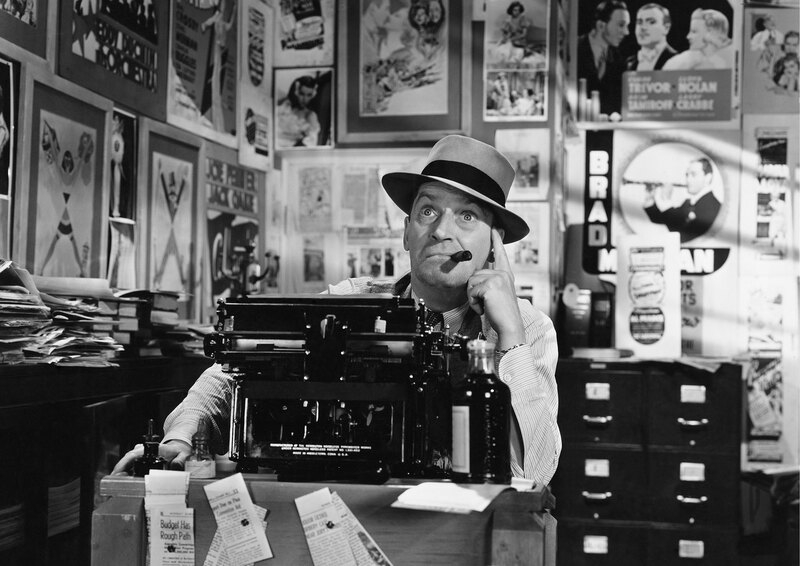 There has been no news of them since. Human rights activists across the Middle East are marking the day today for Razan, 38, winner of the 2011 Sakharov Prize for Freedom of Thought and the 2011 Anna Politkovskaya Award from the Reach All Women In War group. Their detention is part of a wider pattern of violence and harassment by both government and non-state forces. 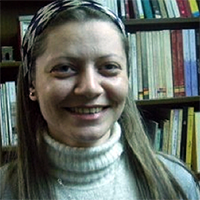 Prior to her abduction Razan Zaitouneh had written about threats she had received from local armed groups in Duma. In April 2014, Razan Zaitouneh’s family issued a statement saying they held the armed Jaish al-Islam group headed by Zahran Alloush responsible for her and her colleagues’ wellbeing, given the large presence his group maintained in the area. Razan Zaitouneh has been working to defend political prisoners in Syria since 2001. Along with others, she established the VDC and co-founded the Local Coordination Committees (LCCs), which provide grass roots support in various cities and towns across Syria. She also established the Local Development and Small Projects Support Office, which assists non-governmental organisations in besieged Eastern Ghouta. Before Samira Khalil’s abduction, she was working to help women in Duma support themselves by initiating small income-generating projects. Wa’el Hamada, co-founder of the LCC network, was working together with the fourth detainee, Nazim Hamadi, to provide humanitarian assistance to the residents of besieged Eastern Ghouta.